Someone just asked me what Game Industry meetups there are in Vancouver and here’s what I could think of, please add to it if you can! 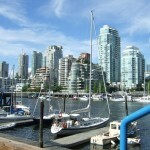 – A recruiter called Jared (http://www.myservco.com/31337/) used to hold regular Game industry meetups in Yaletown in 2009, but sadly no longer. – In January 2010 there was a Vancouver Interactive Night Out in downtown, but I’ve not seen another one since, so not sure if it’s regular. – There was an EXP Gaming event at VFS a week ago. Although I gather there were lots of gamers there rather than game industry types. Not sure if this is going to be regular or not. – We held one at our Big Fish Games studio in Yaletown back in 2009, and before that (over a year ago) I held one just for Indies and Casual Game devs. Shall I Start a New Meetup? – 30 minute presentation from an industry expert then Q&A. – Door prize (like a raffle where attendees can win prizes). This could be optional, but it is fun. Sounds formal, but I think it could work really well because it’s both educational and great for networking if you can find a suitable non-noisy venue where people can talk at. Vandev was held in a UBC classroom on Robson Street, and I can enquire as to how I could do the same. An alternative type of meetup is the “all meet in a pub and informally network”. This is certainly fun but I find that pubs are noisy and so talking about anything meaningful becomes difficult. Although I have certainly enjoyed some good meals with other devs in the past. Perhaps there is room for both types of meetups, formal and informal. Vandev did that as they had a separate social meetup group in a cafe. Anyone want to help? Any further thoughts or recommendations? Thanks. This entry was posted on Saturday, April 24th, 2010 at 6:14 pm and is filed under Game Development. You can follow any responses to this entry through the RSS 2.0 feed. Both comments and pings are currently closed. I think that this is a great idea. We should think about what everyone wants to get out of this, though. I fired off an email to you about this. Alex and I have got the ball rolling on this. Will post more news when then first meetup is confirmed!